We are completely committed to making Revelation a place where young people feel welcomed, valued and inspired to bring their friends. 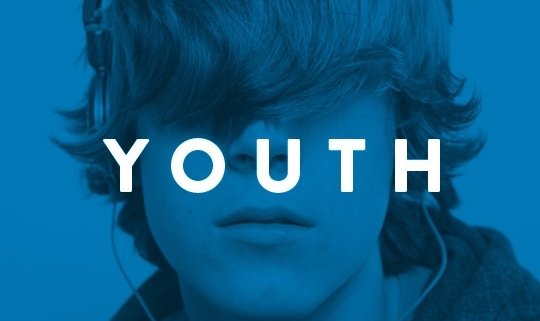 We see young people as the church of today, not the church of tomorrow. Our heart is to see them grow in their identity as children of God, develop into their full potential and become passionate followers of Jesus in an ever challenging world. We are blessed with an amazing team of volunteers who come from backgrounds as diverse as psychology, music, theology and teaching, led by two trained and experienced youth workers, Rich Lush and Fiona Ellis. We embark on this adventure armed with a great mix of creative worship, Bible teaching, prayer and games, often delivered through multi media and chased down with an expectancy to see God move and an obligatory bag of sweets. Years 7-11, 10:30am-12pm, Bishop Luffa School. Getting together with friends to explore the Bible and deepen our understanding of a personal relationship with God. Years 7-12 gather together on Friday evenings from 7:30pm to journey together, encounter God through scripture, worship and prayer and have loads of fun in the process! These evenings will vary in location and timing, so please look at the Soulfire term plan for more details. 2019 is Soul Survivor’s last year! An incredible Christian festival experience under canvas, in Shepton Mallet. Expect to encounter oceans of mud, spiders in showers, great fun, and life changing teaching and worship! We also run an annual weekend/24 hours away together as a youth community to give space for teaching, worship, meeting with God and enjoying activities and fun outside of our normal environment. Wide games in local parks, Sunday afternoon walks, BBQs and beach trips feature heavily on our summer programme for Soulfire. We operate a Safeguarding Policy working with the national umbrella organisation CCPAS (Churches Child Protection Advisory Service). This works within Safeguarding guidelines set by central government.